Welcome to Issue No.11 and our largest issue yet! This is a very special issue indeed. Not only do you receive FIVE FREE dies, but also, an extra eight pages consisting of 16 projects,showing you how to make the most beautiful flowers and leaves. Guest Designers this month include Vikki Deakin, Anna Higginbottom, Karen Lines and Debbie Stevens. They have created beautiful, sweet, stylish, chic, magical and simply delightful projects for you to enjoy and be inspired by. They take us from London to Paris and onto a Magic Kingdom. 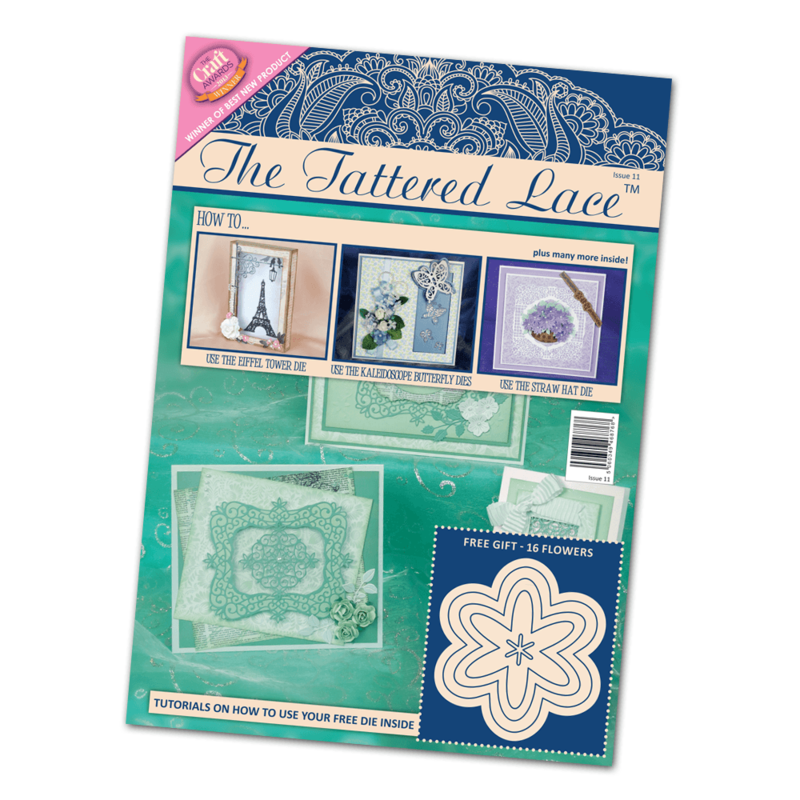 The FREE papers this issue are perfect to work with the feature dies and have all been designed especially for the magazine.